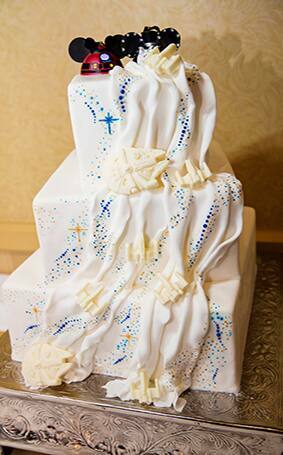 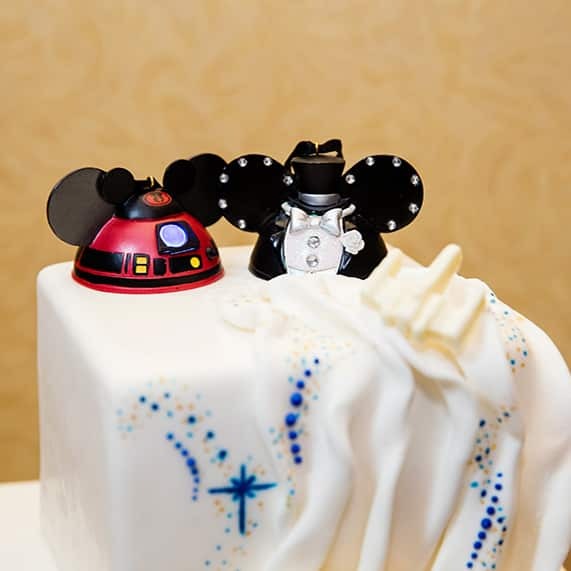 The force is strong with today's Star Wars themed wedding cake! 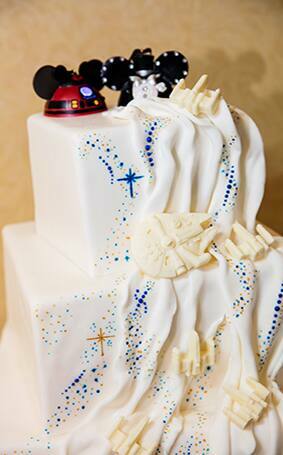 The three square tiers of this galactic dessert are draped with X-wings, Millennium Falcons and bright stars but it's the hand-painted elements that really bring a wow factor to this cake. 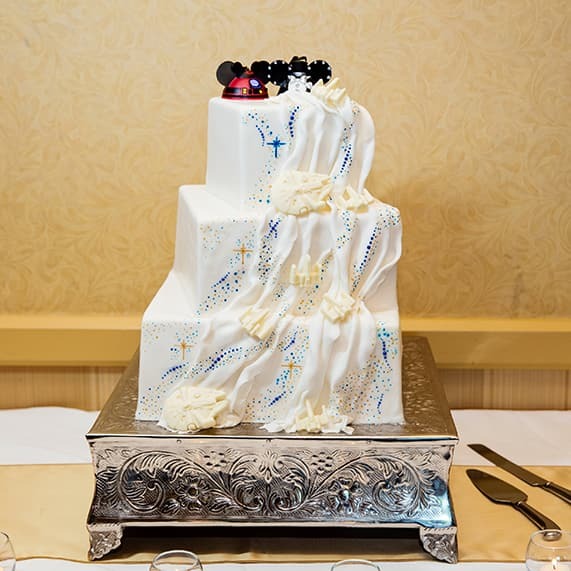 The design is elegant (while still bringing in the grooms' personality) and the custom Mickey Ear cake topper adds a little Disney flair to perfectly complement this Disney's Fairy Tale Wedding.